February 15th, 2019 - Does My Bomb Look Big In This? 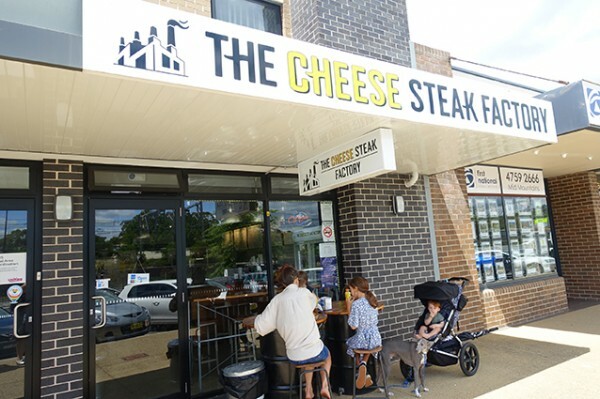 With a lunch looming in Leura, a few suburbs further up the Blue Mountains, I didn’t have the stomach real estate to give The CheeseSteak Factory the going over it deserves. Suffice to say, even on a short visit, their snack range alone makes it a worthwhile rest stop. We pulled into this Lawson venue mostly because we were out of Stubbs Smokey Mesquite Barbeque Sauce ($9.99) an essential saucing component on my favourite, house-made bacon and egg rolls. They also stock the Beaver Brand range – another set of essential saucing for anyone who likes to eat hot dogs at home (and by hot dogs, I mean high quality German frankfurters or chilli cheese kransky from Mentges Master Meats in Taree). This time I picked up their Sriracha Mustard ($8.99). 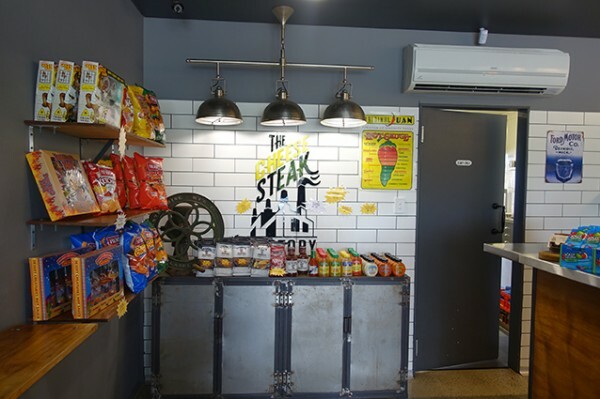 The restaurant’s boutique product range, which mostly focuses on chilli products, also includes Herr's. 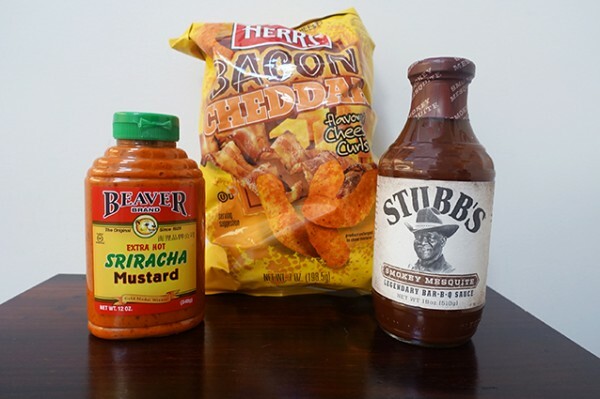 They’re a Pennsylvania-based brand who make the best chilli cheese curls I’ve tried. While their Buffalo Blue Cheese Curls ($5.99) are still my favourites, Herr's Jalapeno Poppers ($5.99) have a wonderful green jalapeno chilli bite. On this visit I decided to road-test Herr's Bacon Cheddar ($5.99) because I hadn’t seen them anywhere else, and (most) everything is better with bacon, right? This proved to be one of the few occasions where the rule doesn't hold true - with no lively chilli, the bacon cheddar chips are tasty but not as good as the first two I mentioned. Obviously the big-ticket menu item here is the Philly cheesesteak – a long bread roll filled with sautéed onions and thinly sliced beef that’s cooked on a flat-top grill, before being topped off with oozing cheddar cheese sauce. Doubting my ability to eat one and then have a three-course lunch, I settled for some CheeseSteak Fries ($8.50). 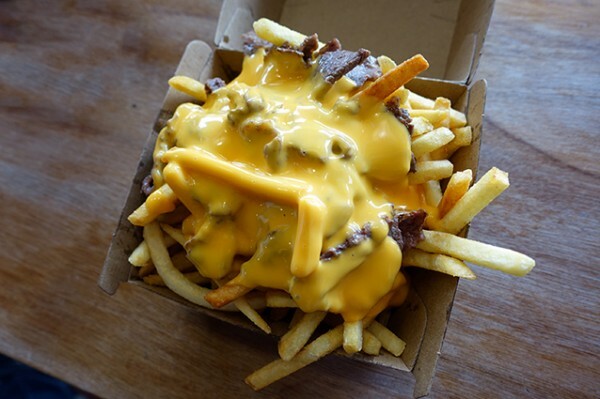 What arrived was a cardboard box of crisp shoestring fries topped with thinly sliced grilled scotch fillet and a generous serve of golden American cheddar sauce. It was so tasty, it made me regret my life choices not to order the sandwich. 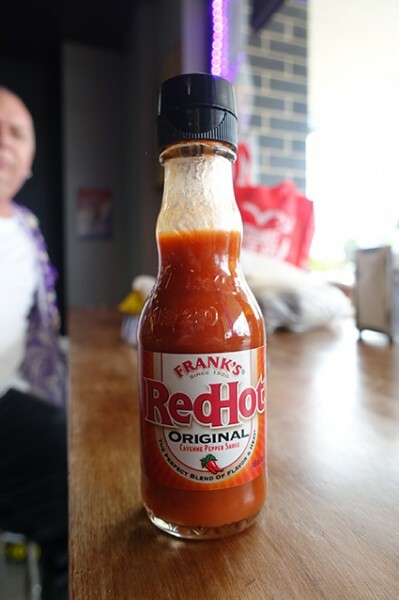 To offset all the oozing cheese, I hit up them up with the on-table Frank’s Red Hot Original cayenne pepper sauce, and the Remedy range from their well-stocked fridge. As well as making some of the easiest-to-like kombucha drinks on the market, this drinks producer - who started out on a kitchen bench in Melbourne - make vinegar-based switchels. Also known as ginger-water, these live cultured switchels are perfect to aid digestion. 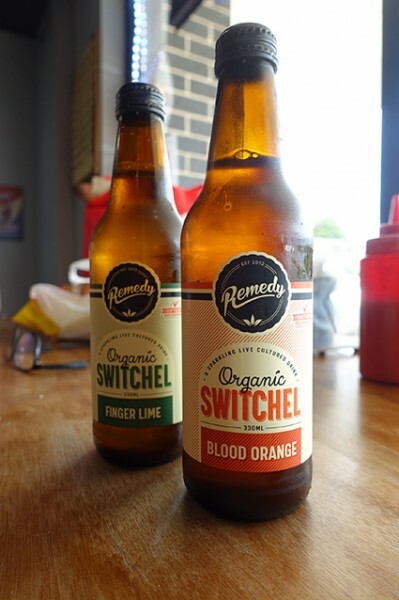 Remedy's switchels come in Finger Lime ($5.50) and Blood Orange ($5.50), with the finger lime and ginger combination proving slightly better. Can't wait to get back here and shove a Philly cheesesteak into my gob!